Should Computer Education Cover More Than Just Coding? 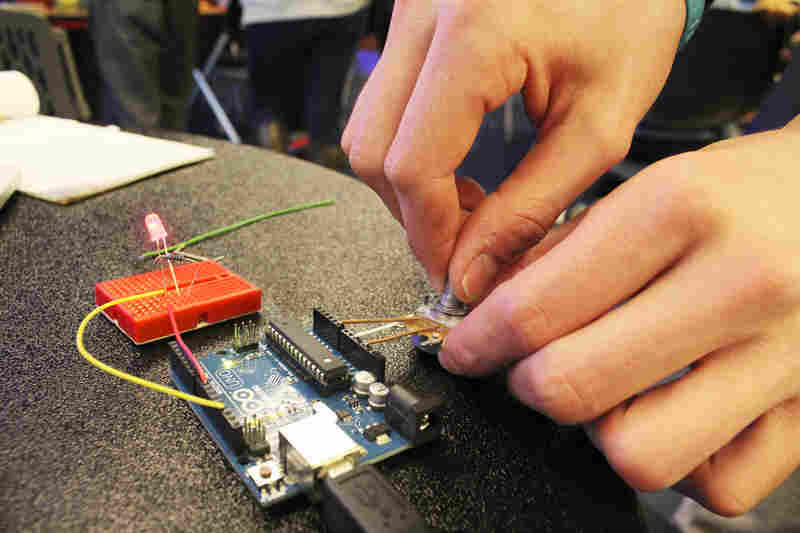 : NPR Ed Computers are not just about programming. There's also a lot of theory — and science — behind technology. Coding bootcamps often downplay theory, and some university programs are too heavy on it. 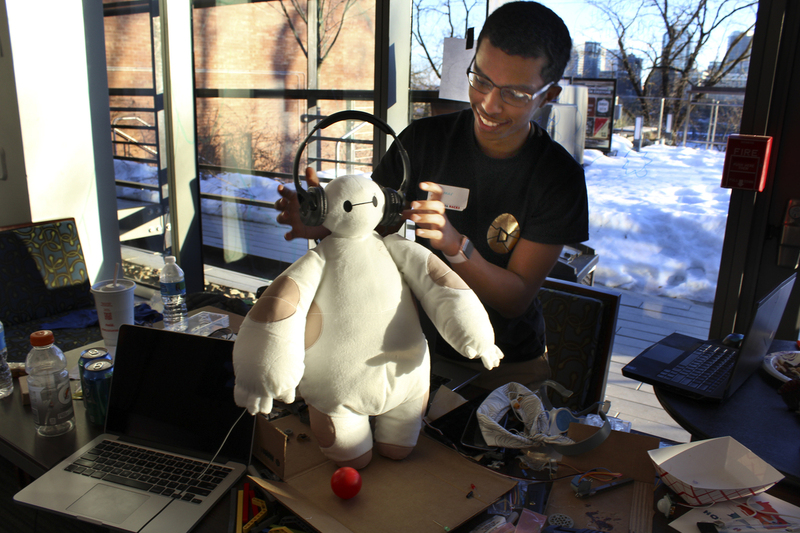 Ammar Al-Kahfah plays with a stuffed "Baymax" toy at the Georgetown Hackathon in Washington, D.C. His team has wired it to move and to collect basic medical information. 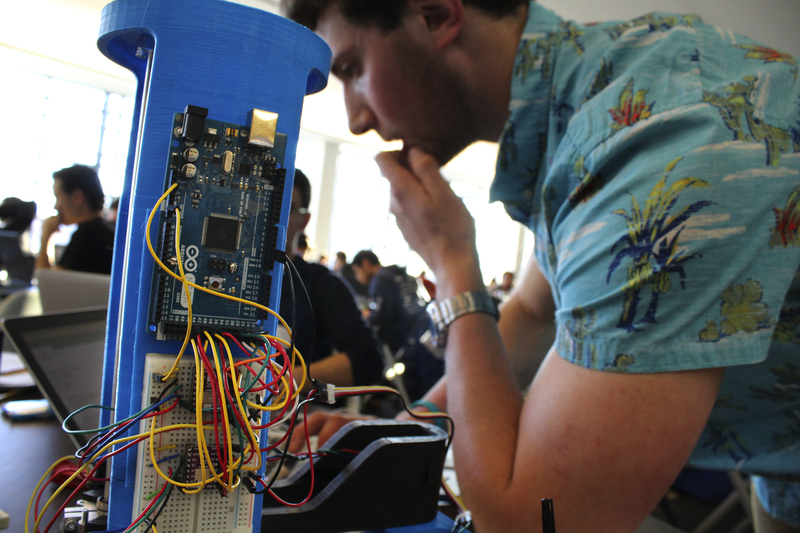 A student works on a light sensor during an Arduino workshop at the Georgetown Hackathon in Washington, D.C.
David Kaplan, a University of Maryland, College Park sophomore, tinkers with a robotic arm programmed to play tic-tac-toe at the Georgetown Hackathon in Washington, D.C.